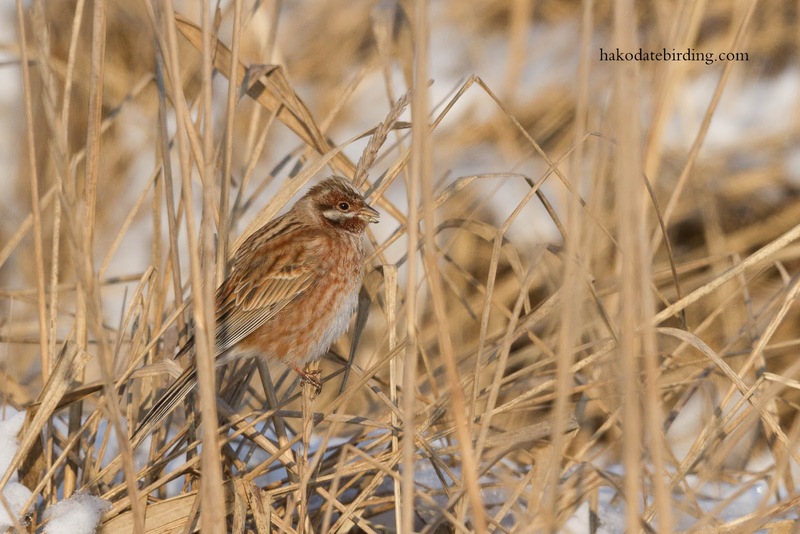 Hakodate Birding: Dinner on the beach...............and some Pine Buntings. Dinner on the beach...............and some Pine Buntings. Some more photos from Monday, this time a little later in the day. 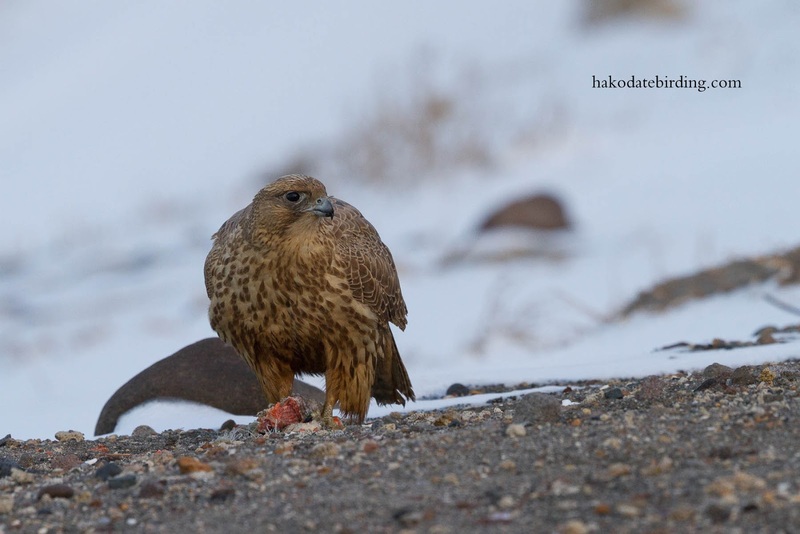 The Gyrfalcon swooped down to the beach for a fish supper. It was quite dark at this stage and, as I had the tripod handy, I made a short video. As the day began I had wanted a feeding shot, a video and a BIF shot. I just about managed the latter to complete the set but it was too dark for a decent one. The day before I had seen a bunting in the evening gloom and thought it may have been a Snow Bunting. it was probably a Pine Bunting instead as we saw a flock of 8 or 9 hiding in the sand dumes as we waited for the Gyrfalcon to reappear. 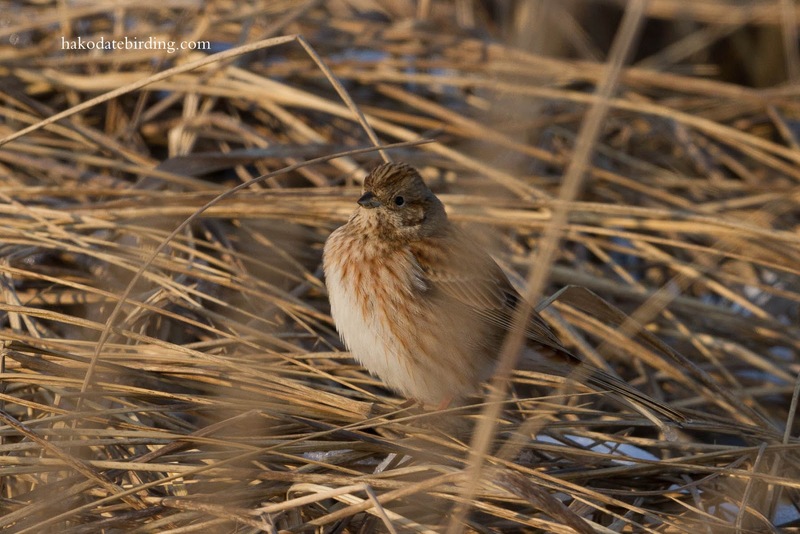 One of the photographers told me a Pallas Reed Bunting had been seen in the morning but I couldn't find it. Pine Bunting are a pretty good find though (only the 3rd time I'd ever seen them). On the way home, as it was getting dark, a buzzard flapped off from the top of an electric pole. Was it the Rough Legged that had been seen last week? Maybe. Maybe not. 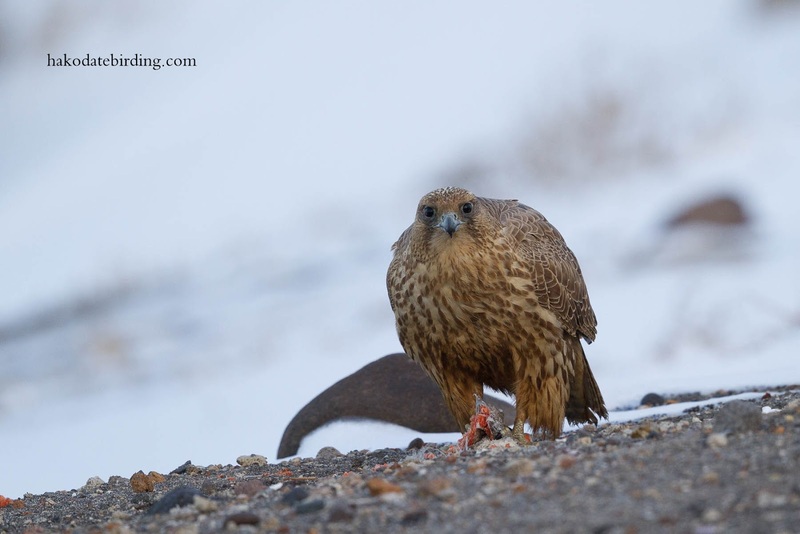 Wonder what the Gyr will do next weekend? 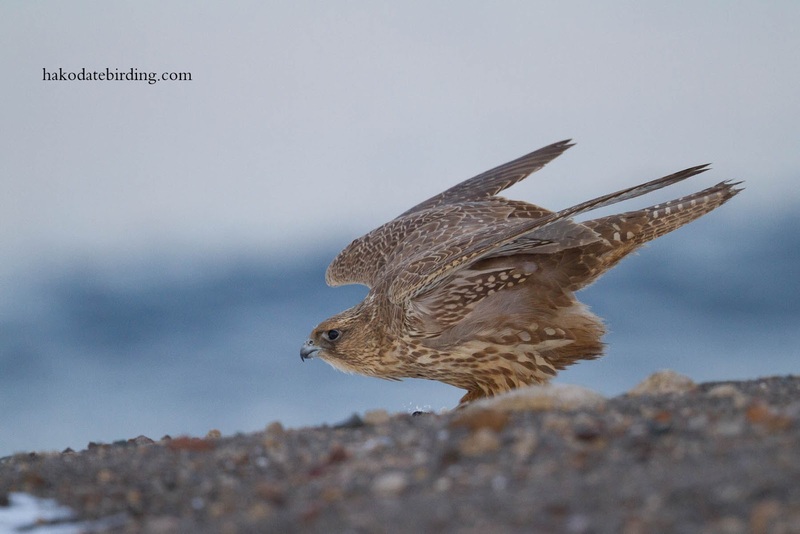 You're getting a real study of the Gyrfalcon and the video is superb, Stu. It really is a hefty and beautiful falcon. Congratulations on the opportunity. Thanks for the comment Hans. What a bird, what an opportunity for you to be able to connect with one of the true bird wonders.... love this series. Last (only) Pine Bunting I saw I picked from a mist net on North Ron. 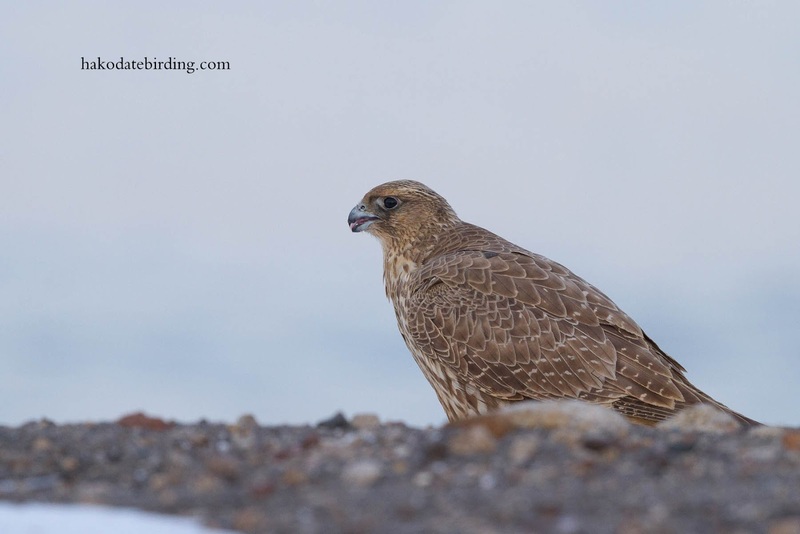 The Gyr iskeeping you busy. You've been ringing in the Shetlands? Nice. 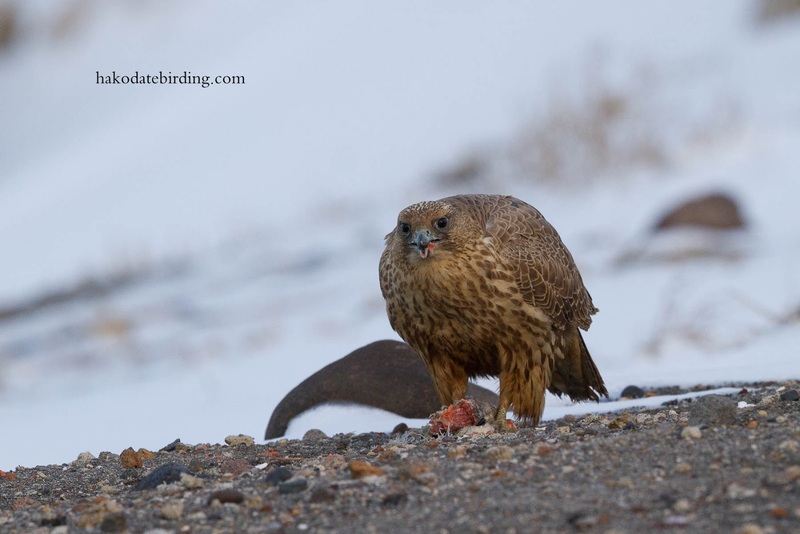 The last 2 Gyr and the first PB shots are the business. Never tried video - the results are very high quality. Hi Stuart, I was lucky in that there was no wind and no harsh light. I wish I'd taken a longer one actually. 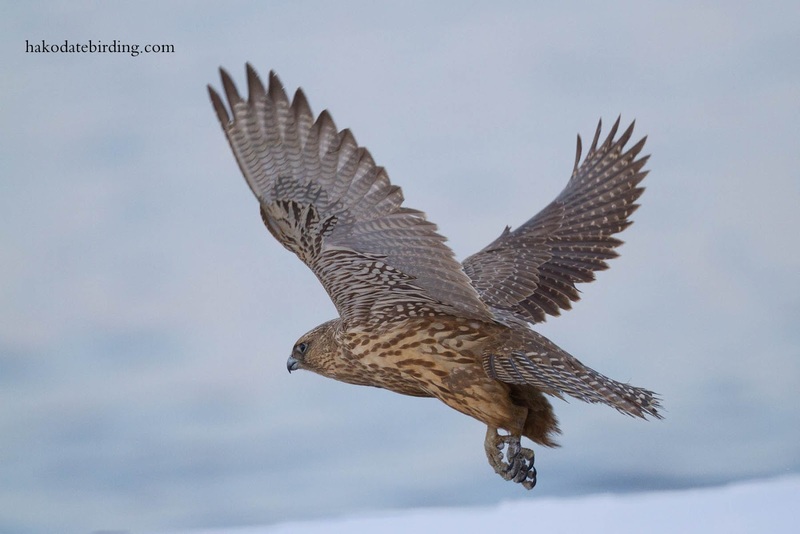 Great video of the Gyrfalcon. 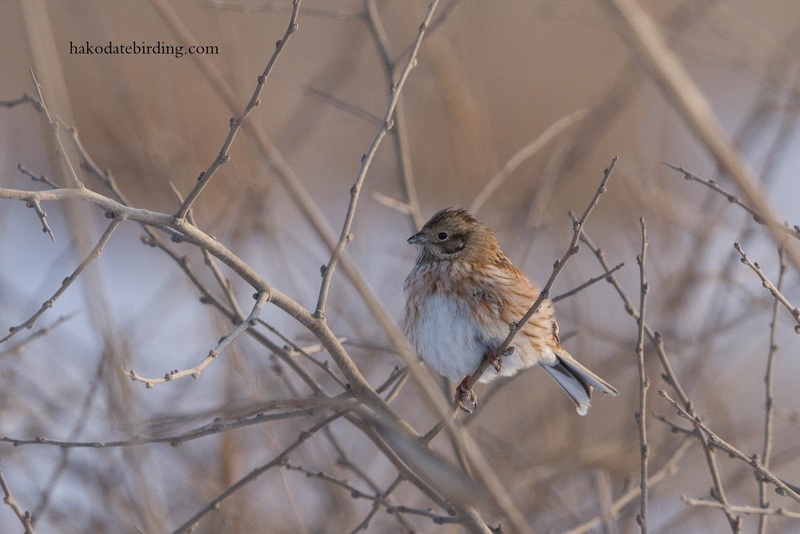 Also nice to see the Pine Buntings! I've only seen one once at Notsuke Hanto. Would love to get a shot like yours.